Coming with adjustable legs, the Pot Wash Sink is easy to work with. We have become the name to reckon with for getting the best Pot Wash Sink at rates that will not burn a hole in the pockets. 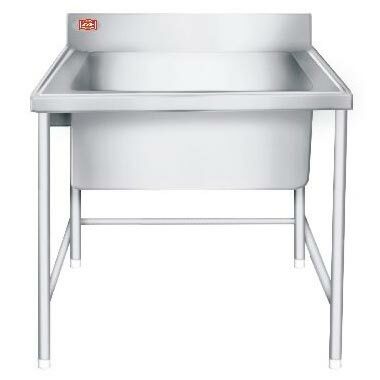 Also, the Pot Wash Sink is available in different sizes to suit the diverse needs of clients. Also, the design of Pot Wash Sinks allows easy disposal of wastewater.